At the end of last month via UKFBA Claire introduced me to a new baking group called Fresh from the oven. 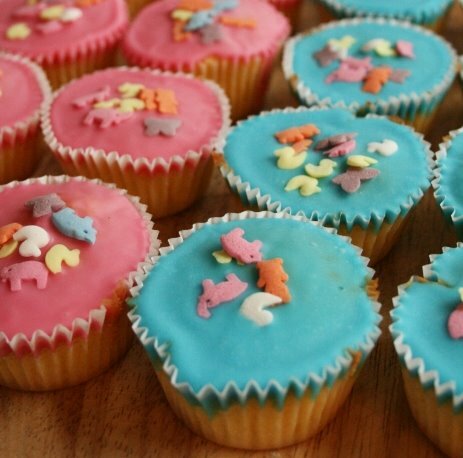 As I’m a keen baker, I was keen to join the group to help improve my skills. This months challenge was hosted by Brianna. 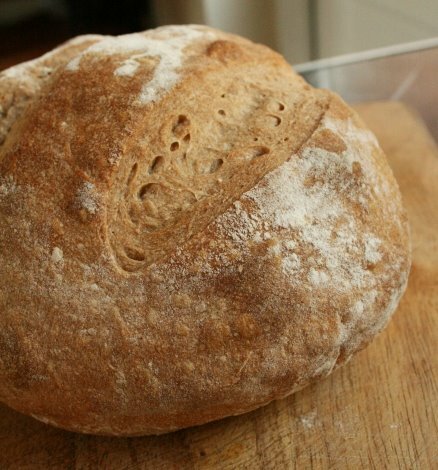 She chose a Rustic Loaf recipe from from Jeffrey Hamelman’s Bread: A Baker’s Book of Techniques and Recipes. The idea behind the recipe was that it was a good, basic recipe that introduced a simple preferment, minimalist ingredients, and let us practice our shaping techniques. I learnt all about preferment at River Cottage, though it was called the sponge dough method at RC. I’ve been keen to use the method and decided to set time to do it. It’s by no mean the quickest loaf I have ever made, but my goodness did it taste good. The addition of wholewheat also made it filling. The preferment gives a very slightly sour taste, not too unlike sourdough. Initially the dough was very wet and too difficult to work with so had to add some more flour (this may be due to me making a dodgy conversion with the measurements from cups to g/ml). I also have to admit I didn’t let it prove for as long as the recipe said as 1) I was running out of time and 2) it was rising quite rapidly thanks to the hot, humid weather and I was worried about over proving the dough. Looking at the crumb of the dough the big air pockets are a sign that is was beginning to over prove so I caught it at about the right time. I need to get better at making a tighter shape and have asked for some proving baskets for my birthday. What you can’t see on the photo is that in both of the loaves Hubby & I made they burst a bit on one side due to how we shaped it and supported the dough during proving. Although I was initially unsure of the recipe I’m really happy with the loaf I managed to produce and will certainly be using this method again. 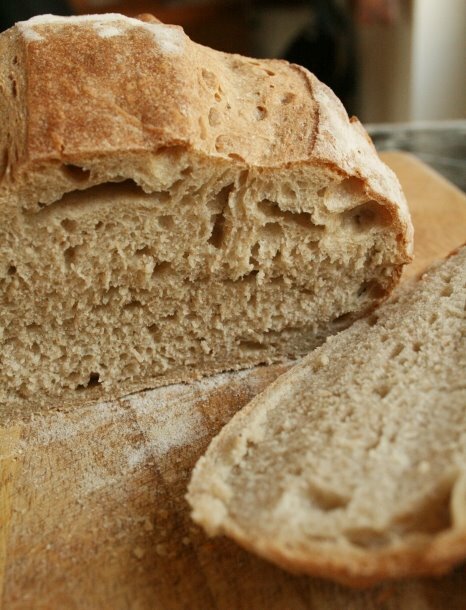 The full recipe for the loaf can be found on The Fresh Loaf. A few months back we made some big changes to the garden. Gone are the majority of the pots from last year and in are raised beds made from recycled pallets, of which was Hubby’s idea. Initially I was a bit anti getting rid of all the pots we had spent ages sourcing, but with a bit of shuffling and ridding of pots that had cracked, Hubby got down to making the raised beds. He picked up the pallets for free from work. His resourcefulness shows no ends, though at the moment he has put a stop at the idea of making a shed from old pallets…though if we had a garden big enough I’m sure he’d give it a good go. With the lessons we learnt last year we’ve planted a slightly different selection of veg this year and have improved our gung-ho method for vegetable growing thanks to a mini greenhouse from Ikea and the ingenious Paper Potter. 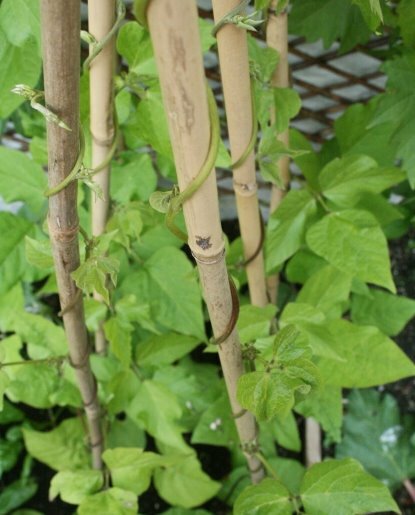 Planted so far this year we have strawberries, radishes, spinach, beetroots, carrots, mixed salad, artichokes, rhubarb, broad beans, garlic, peas, kale, sweetcorn, brussel sprouts, leeks and the grape vine has sprung back into life, but there is yet any fruit on it. 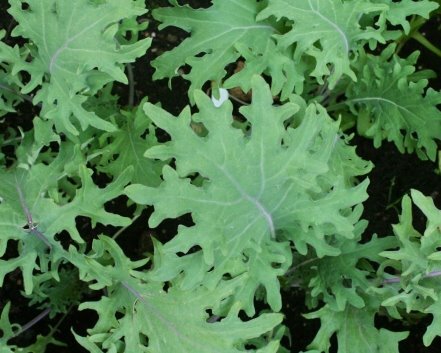 We also have some Purple Sprouting Broccoli ready to be planted. In addition to all this we also have the odd mushroom thanks to some free mushroom compost that had been given to us. I also now have a dedicate area for my herb garden currently we have mint, thyme, rosemary & sage. Once the garlic has been harvested I can use their pot for a second herb garden containing chives, coriander, basil & another herb I haven’t decided on yet. 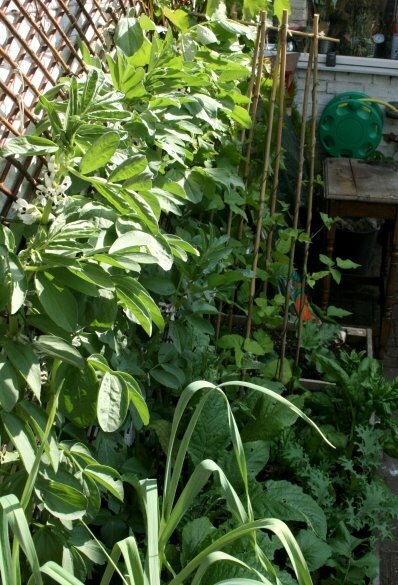 Due to limited space in the garden we now have a general rule – it can only be planted if it has culinary uses. 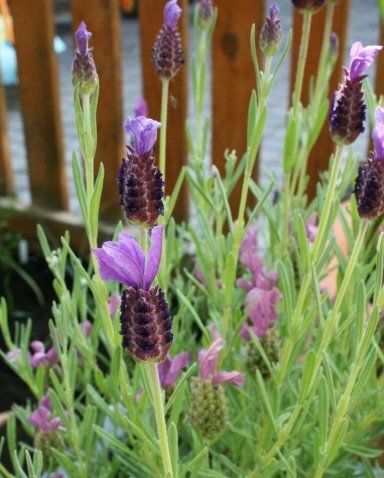 Hence the Butterfly Lavender, not only does it look good, smell good, keeps flies away but can also be used in the kitchen. The one little problem we’ve had this year was the salad we grew. We sowed too much of it at once, couldn’t eat it fast enough and it bolted. The radishes have been deliciously spicy and it won’t be long before the strawberries have ripened. I’m looking forward to trying everything else once it has been harvested. Nothing beats vegetables fresh from the ground. I’ve been invited to quite a few Miele events before, but due to work commitments I was unable to make it so when they invited me this time I jumped at the chance. Before the Miele invite I was already going with Hubby & friends so they still went and I met up with them later. This was the first time I had met up with fellow bloggers and I have to admit I was quite nervous. I didn’t have my SLR on the day and used my compact so I wasn’t too happy with the photos I took so most of these photos are courtesy of Miele. First part of the day was seeing Simon Rimmer in the Super Theatre. I’ve always been a fan of Simon Rimmer and Something for the Weekend is my Sunday morning lie-in TV. Any chef who has a recipe for Jaffa Cakeshas all of my respect! In the Super Theatre he made steak tartar and a delicious looking banana tatin. 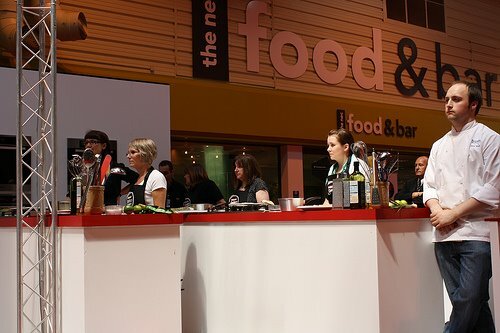 After seeing the show us bloggers went back stage for a drink, meet our fellow bloggers and also saw Gino d’Campo, The Hairy Bikers and Simon Rimmer. After being given a bit of time to wonder around the show, where I met back up with Hubby & friends, we made our way to the Miele stand where their range of goods was explained to us. I liked the steam injection in their ovens which would be perfect for bread making. Once I don’t live in a tiny Georgian cottage, where shiny-shiny-fancy-things don’t look right, I wouldn’t say no to one of their products. 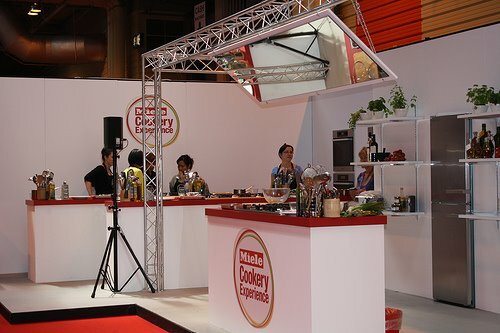 Once the products had been demonstrated to us, it was our turn to get up on stage with Sophie Mitchell to do some cooking. Although I knew in advance I would be cooking with Sophie it was only a short time before the event that it dawned on me I would be cooking in front of an audience. I have to admit I nearly pulled out as the fear of doing something like this shot through me. Especially when I found out we would be cooking scallops, a food I just don’t enjoy. The 2 dishes we made were Thai inspired with scallops for starter and the main being crab stuffed lemon sole on a spicy mango salad. Well I’m very glad I didn’t pull out as I really enjoyed it even if I did hash up taking the skin off a fillet of lemon sole thanks to a set of blunt knives. Sophie was lovely and I’m glad I had cooked Thai before as it helped me to keep up with her and understand what was in all the pots in front of me. 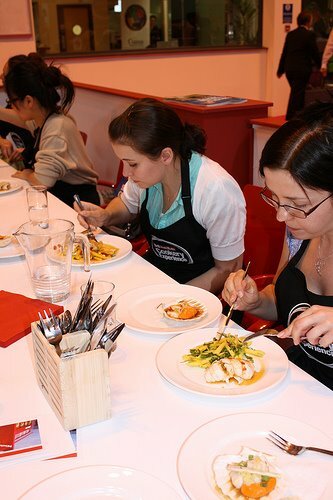 We cooked our dishes using the steamer programme in one of the Miele oven. I was impressed as to how fast it was all cooked and with no additional fat. What made it even better was that we were able to try our cooking afterwards. I’m not a fan of scallops (I don’t like the texture) but Hubby gladly ate them for me. After finishing our meals and taking lots of photos, well we are food bloggers, Miele gave us some goodie bags and I bid farewell to my fellow bloggers and headed back into the show with Hubby & friends. As it was now about 4pm the show was beginning to quieten down making it easier to get around the stalls…and not be bashed in the ankles by those annoying pull along boxes many people had. Although it is smaller than the Good Food Show in November we still managed to find some gems. Lauden Chocolates gave all of the other chocolate companies there a serious run for their money. The chocolates were not only stunning to look at but also absolutely divine to taste. The flavours literally exploded in my mouth. The people on the stall were also deeply passionate about their products. This isn’t the first time I’ve mentioned Teahouse Emporium, I mentioned them last time I went to the Good Food Show and purchased some of their blooming flower tea. This time I bought some Kalahari tea along with some Cranberry & Elderflower tea, the tea leaves alone smell delicious even before they have been infused in water. As for the worst products – fizzy vodka..why? Brought back wrong memories of my student days and Yumberry Juice it deserves to be done for breach of product description. Yumberry juice is not yummy in the slightest. 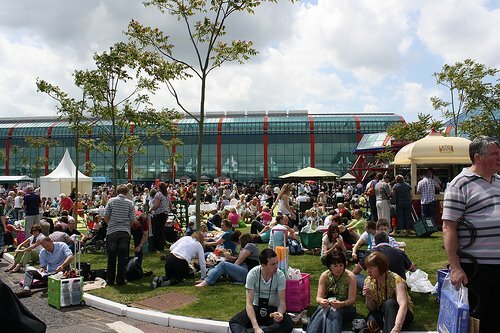 It was a great day out and it was lovely to meet other food bloggers and be able to put a face to a name. 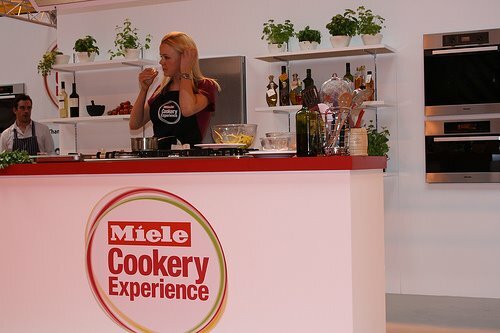 A big Thank you to Miele for inviting me. This particular loaf of Bara Brith had been hanging around for a week or two after I made it for my Welsh mother when she visited a few weeks back. To be honest I think we forgot about it in the cake tin as it is a very rare occurrence for cake to be left for a long time in this house. Now I did originally plan to accompany this blog post with a delightful photo of me aged 8 in traditional Welsh dress, but decided my credibility would go down the pan if I did, so you’ll just have to do with a pic of the pudding. I’m not one to throw perfectly good food away and the nature of Bara Brith means it doesn’t go off very quickly, however it does begin to dry out making it perfect for a bread & butter style pudding. As much as I love feeding the fluffy fledglings with crumbs of cake I wasn’t sacrificing all of this Bara Brith to our feathered friends. I was really pleased how they turned out, with the Bara Brith giving more depth to the pudding than usual bread would. I would be interested to try it with other dry cakes that have gone past their best. We had the puddings with lashings to custard. In my eyes the only way this type of pudding can be served. Promise I will blog something savory soon! 1) In a small saucepan mix milk, sugar and vanilla and gently heat until sugar has dissolved. Take off the heat and allow to infuse for 15 min, then remove vanilla pod. 2) Using a circular cutter, cut rounds of the bara brith. 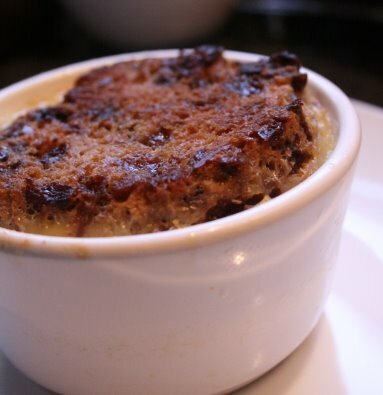 Butter both sides and pile into a ramekin. Once the milk has finished infusing whisk in the egg. Pour the custard over the bara brith and leave for 30 to allow the cake to soak up some of the custard. Cover ramekins with buttered foil. 3) Preheat oven to 170oc. Place ramekins in a deep baking pan then pour boiling water into the pan so it is half way up the ramekins. Place in the oven and bake for 40 min. Remove the foil and bake for a further 5 min to brown the top. Yesterday was our wedding anniversary. Statistically the 2nd June is the one day of the year were your most likely to have great weather. It was pure chance we booked our wedding on this day and the weather statisticians didn’t disappoint in 2007, 2008 & 2009 soaking us with glorious weather each year. We’ll ignore the fact that in 1975 snow fell on the 2nd June! Last year we celebrated by eating our way around York, this year we made a bit more effort than usual with our weekday dinner and made some mini cheesecakes then washed it down with a delicious bottle of champagne. We are celebrating it again this weekend when we go to one of our favourite restaurants. I always look forward to this time of year when raspberries come into season. Although our local PYO is yet to open I found some luscious Scottish raspberries in the supermarket. Loosely inspired by my Baileys cheesecake, and what I had in the cupboards I decided to come up with individual raspberry cheesecakes. When I’ve been making desserts like this recently I’ve been using light cream cheese rather than the full fat version as I find it makes a lighter dessert and I like to think it’s a bit healthier. However this does make the mixture looser and is better served in ramekins rather than turned out onto a plate. 1) Crumble one biscuit into each of the ramekins. 2) In a mixing bowl whip cream cheese until smooth then add icing sugar to taste. Stir in Crème de Framboise. 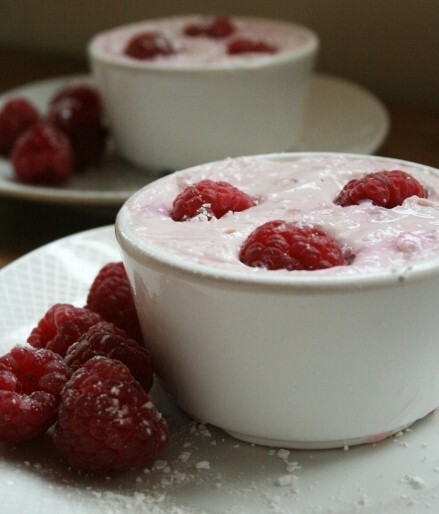 Mash together a handful of raspberries then stir into cheesecake mix. 3) Pour cheesecake mix into ramekins then chill for 3 hours before serving.